Downed during his first mission, James Hunter is taken captive as a German POW. To bide the time, he studies a nest of redstarts at the edge of camp. Some prisoners plot escape; some are shot. And then, one day, James is called to the Kommandant's office. Meanwhile, back home, James's new wife, Rose, is on her own, free in a way she has never known. Then, James's sister, Enid, loses everything during the Blitz and must seek shelter with Rose. In a cottage near Ashdown forest, the two women jealously guard secrets, but form a surprising friendship. Each of these characters will find unexpected freedom amid war's privations and discover confinements that come with peace. The Evening Chorus is a beautiful, astonishing examination of love, loss, escape, and the ways in which the intrusions of the natural world can save us. I will never tire of books that take place during WWII. Whether it's a major piece of the story or the merest backdrop there is something about that time that fascinates me. 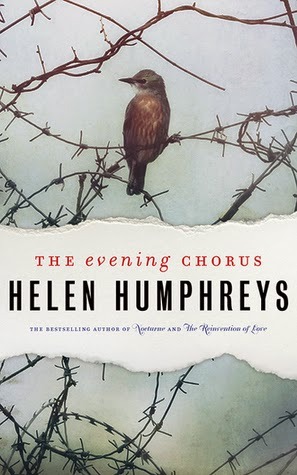 The Evening Chorus is one of the finest books that I've read about that era...and I've read many. The author uses the sparest language to describe what James, Rose, and Enid are going through and does so to great effect. There's no need for flowery speeches or grand dramatic scenes. Their lives are hard, and their day to day efforts to survive are dramatic enough without the need for flourish. I thought the use of nature in The Evening Chorus was a touch of brilliance. Even while a war rages on the world keeps turning. The tides keep rising and falling. The birds keep singing. Keeping an eye on the natural world around them helps the characters hold onto their humanity. That juxtaposition is just part of what made this book so wonderful. I do get tired of WWII books, unfortunately, even though I haven't even read most of the excellent ones I keep hearing about! This one sounds like one I should order for the public library, though, because I think I missed hearing about it until now and it sounds like one a lot of readers will like. The little bird on that thorny wire is brilliant for this book cover. It conveys a lot, doesn't it? I just finished reading a memoir of a Jewish woman who survives WWII in Europe. 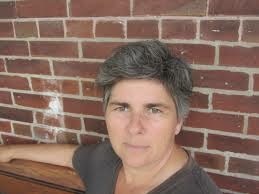 I actually met the author who lives in Montreal, my city. What a great story. I'm wild about this cover too :D Beautiful! Oh, that memoir sounds good. I'm so drawn to survivor stories. Inspirational! This one looks very good (love the cover). I just finished The Nightingale, which was very intense, so I may have to wait a bit before delving into another WWII book. This sounds like a totally unique take on WWII...a time period that fascinates me as well! If you enjoyed this I definitely recommend both Coventry and The Lost Garden by Humphreys. They are also set during WWII. I'll definitely look into those, thanks! I want to READ THEM ALL, lol ;) Thanks! What an evocative cover! Says me who also says I'm not swayed by cover art. I will tbr this! I'm always a little iffy about WWII fiction nowadays...maybe because I've just read so much of it? Anyway, this one does sound good, and I like the idea of spare language. Strip it down! I think that happens. The market is pretty saturated ;) I don't know why I haven't gotten tired of it myself. It's totally my jam though!